Trial By Sapphire: Happy Halloween! Did you dress up today for school, for work, or for an event with your family? I'm not dressing up this year, but you can see two of my favorite costumes HERE. This here blog has gained a lot of traffic from "three little pigs costumes" and "monsters inc costumes" Google searches! 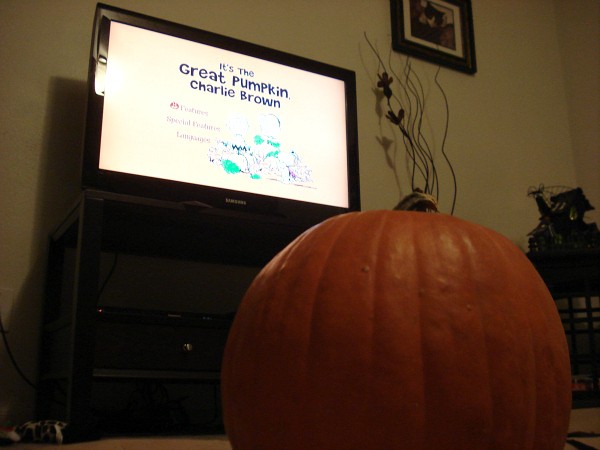 Although we don't have any Halloween parties to dress up for, we got in the Halloween spirit this weekend and carved our pumpkins while watching "It's the Great Pumpkin, Charlie Brown!" Mr. TBS is the creative one in this relationship. 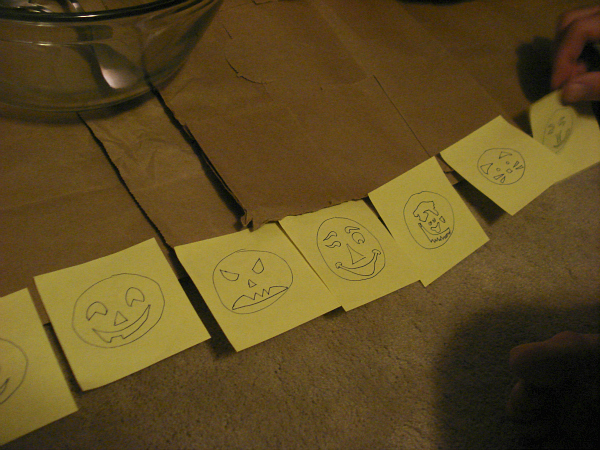 Yes, he even sketched possible carving designs to choose from. I looked at all of them, decided they were all too difficult, and carved our last initial. (I told you. I'm not creative!) We baked the pumpkin seeds too. Autumn wafted through the house, and the seeds were delicious! Play safely, and enjoy the night, my friends! Happy Halloween! Happy Halloween to you! I like your K! I totally think the initial was the cutest option! Love your pumpkins! We totally went to the pumpkin patch and bought a pumpkin and everything but we never carved it. LOL. Happy Halloween!!! Hope it's a great day!!! Those pumpkins represent you guys perfectly! K AND a cat?! YES. 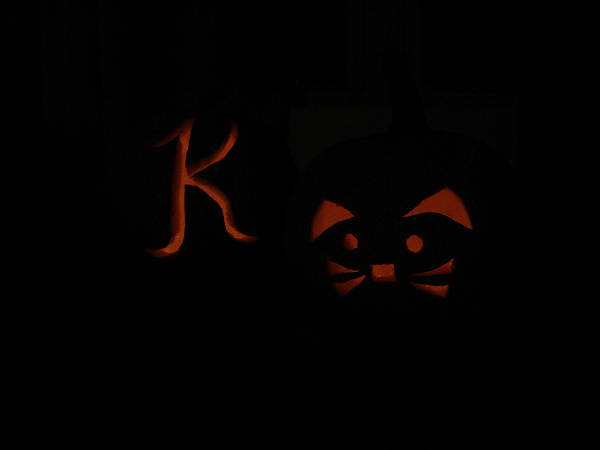 Love the kitty pumpkin! So cute :) Happy Halloween!! LOL at Mr. TBS's sketches.. he's serious about this carving business!! 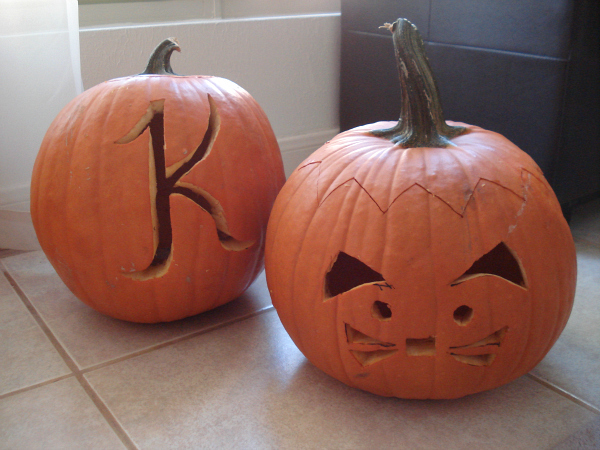 You two did a great job with your pumpkins! 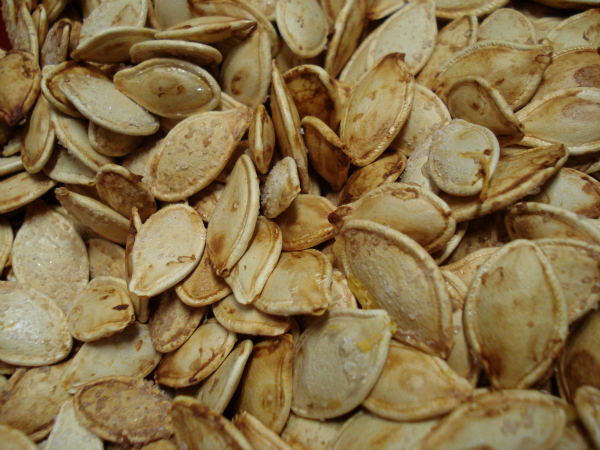 Now I'm wishing we would have done some- I love making my own pumpkin seeds! I may have to stop by the store on my way home today! Y-U-M! Also, TBS was really creative with those drawings. When I first looked at them, I liked the cat design the best...and then after a little scroll I saw that's the one he went with! Awesome! What a cute design! Both pumpkins look great!!! 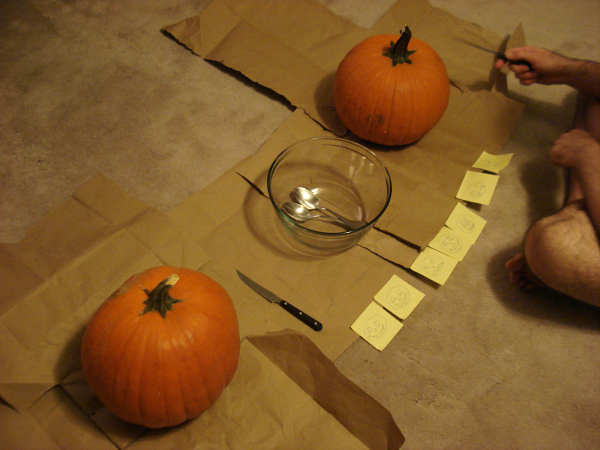 So glad you got to celebrate with carving. Would you believe that I've never seen that movie?! you are the cutest BOO ever!!! Happy Halloween! hope you had a great Halloween! !